Depending on how one looks at it, the great gorge can either be impressive or frightening. For the crew in charge of the annual rock scaling operation along the great gorge wall on the Canadian side of the Horseshoe Falls, however, it’s the former. 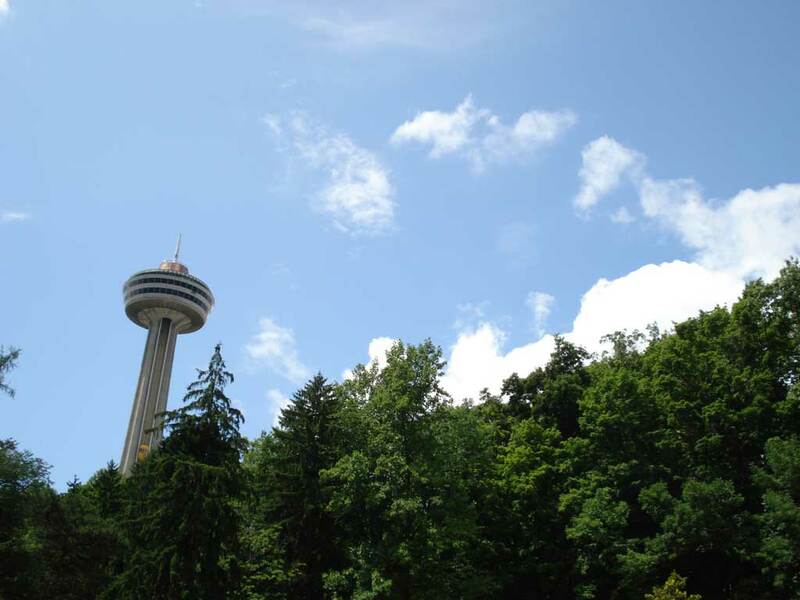 “I don’t find it nerve racking at all,” said Gordon Rosa, a Niagara Parks employee who has been involved in the operation for the past 29 years. More than 400,000 people toured the Butterfly Conservatory last year. Employees at the facility are used to seeing and hearing people’s positive reactions to the roughly 3,000 winged wonders around them. But it’s unlikely many of the visitors fully understand the work and effort that goes into keeping one of Niagara Parks’ premiere attractions going. Daredevil Dean Sullivan is back in town. Sullivan filmed two stunts this month in which he used his face-first rappelling technique to jump from the top of the Niagara gorge, near the Horseshoe Falls. “(Wednesday’s) was great. It was awesome. It was fantastic. It took me a couple seconds,” he said. An earlier Nov. 3 jump wasn’t as fast because he stopped a couple times on the way down, he said. Sullivan, a 43-year-old British Columbia man, made a name for himself by descending from high places like cliffs, ravines or tall buildings. He wears a harness around his waist and is connected to a rope that’s secured at the top. He uses his hands as brakes to stop himself before hitting the ground. Niagara Parks Police say they’re aware of the recent stunts, but aren’t rushing to round anyone up. A man who waded into the water about 120 metres above the Horseshoe Falls was convinced to come back to shore by a Niagara Parks Police officer and city firefighters Thursday. The incident occurred around noon-hour near Table Rock House, when a tour bus arrived at the usual stop on the south side of the building. Passengers disembarked the bus. But one man, a 35-year-old tourist, ran from his wife and toward the stone wall meant to keep people from getting too close to the falls. “He ran at the retaining wall and vaulted himself over,” said parks police Insp. Paul Forcier. When firefighters and police arrived, they found him on the dangerous side of the wall, holding onto branches on shore to avoid being swept away. Firefighter Taylor Urquhart approached him, but the man moved further down river. At one point, he was about 50 feet from the brink of the falls. It looks like any bid to get Bob Gale a second term on the Niagara Parks Commisison is almost out of gas. Niagara’s own oil baron was sidelined from the government agency in February, when his three-year term expired. Now, after Friday’s reaffirmation by the commission of its 2008 decision to extend its lease with the Maid of the Mist Steamboat Co., it seems Gale’s days are done. His stated condition not to take another term unless the Maid of the Mist lease was put to tender makes it all but impossible for him to accept another term, and equally unlikely the government could offer him one. It’s a lesson in how slippery the underbelly of politics can be. This picture was taken from the same spot in front of the Niagara Parks Police building, and the pictures weren’t touched up at all. One picture was taken facing west, and one facing east. This has been what the weather has been like so far this year. 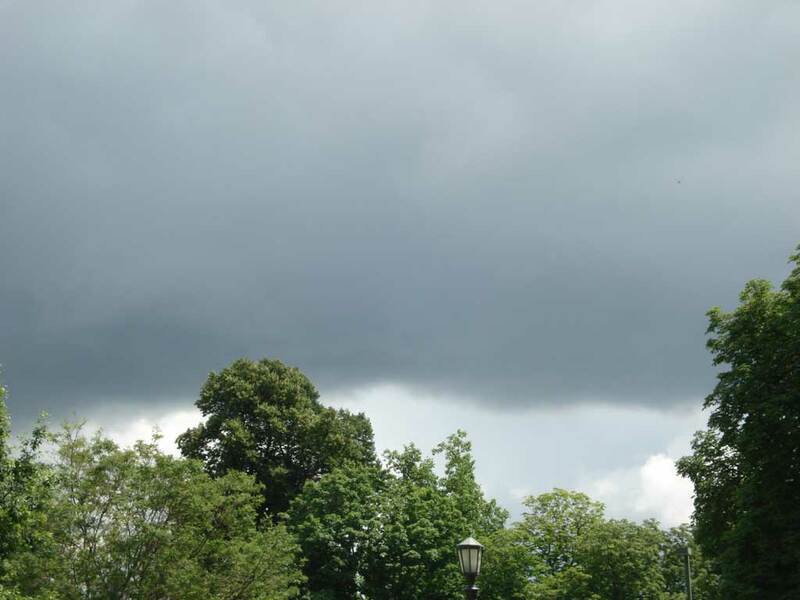 Partly sunny and partly cloudy. The one direction looks like a beautiful day. The other direction looks ominous.